Juxtapositions. They are what life is all about, sometimes the best isn’t always the most expensive. I try to remember this; but everyone tries to keep up with the Jones’ at some point in time. It all gets a bit tiring and makes the whole situation a bit pointless. Possibly the best financial advice I ever heard was to ‘Live below your means’, Warren Buffett said that; in 2008 he was ranked the richest person on Earth, I think he knows about money. It’s generally a good quote to remember in your 20’s, when you’ve got all of these aspirations that you are trying to work towards. 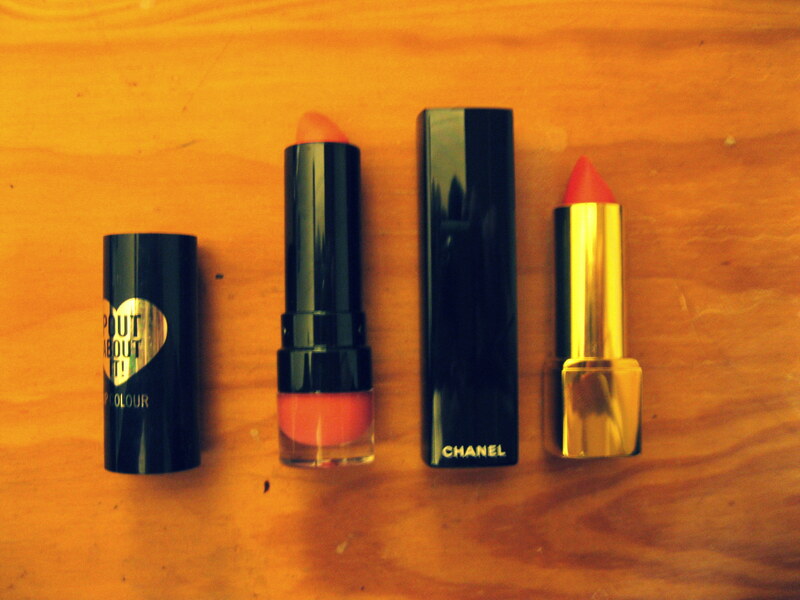 The feeling that you can potentially buy your way to happiness; whilst knowing that’s bull, is never too far away. It really doesn’t help if you read a billion blogs a day and they all seem to be written by wealthy mums! When did mums take over the internet? Gen Y we gotta fix this! So to look at this in a super light-hearted way; here is the most obvious juxtaposition I own. 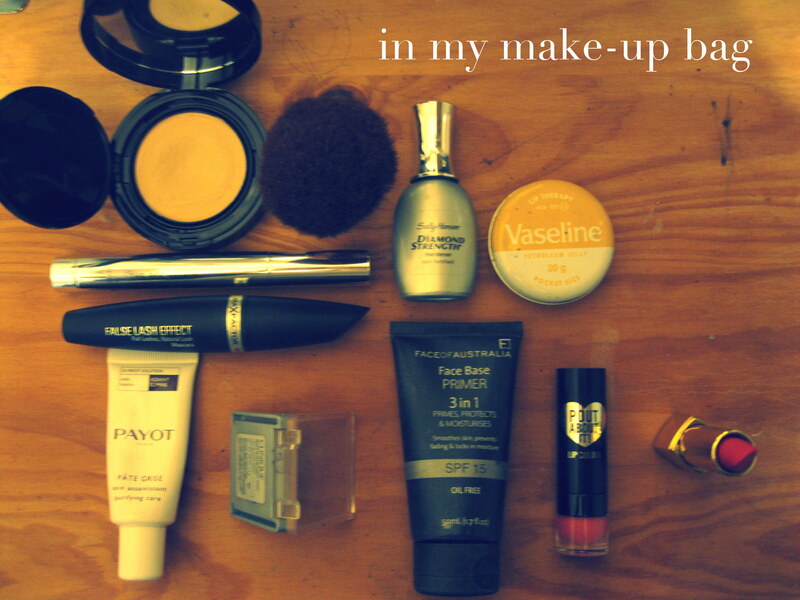 My Make-Up Bag. 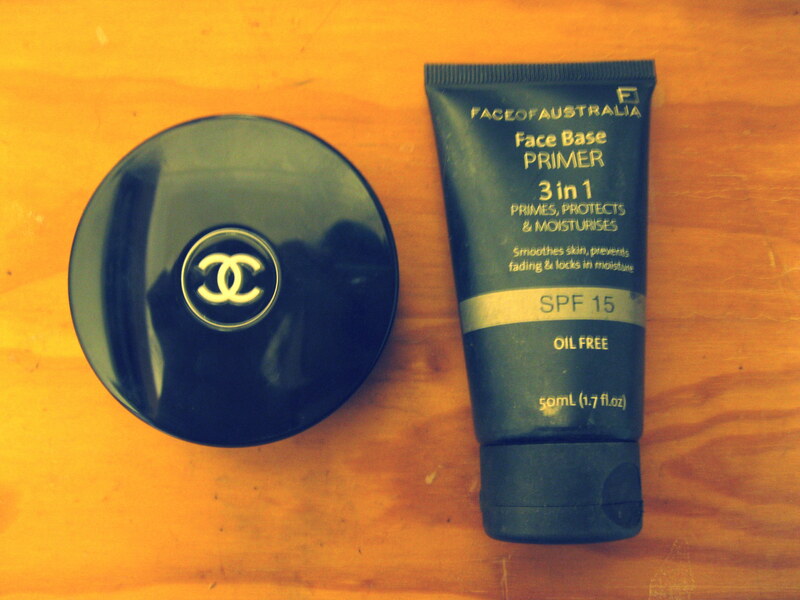 My favourite face products are this Chanel foundation (none of you are as pale as me so I don’t think we need to divulge quite how pale I am) and Face of Australia Primer, I have read a billion reviews and this is my third bottle, there’s no difference between this and the expensive stuff! 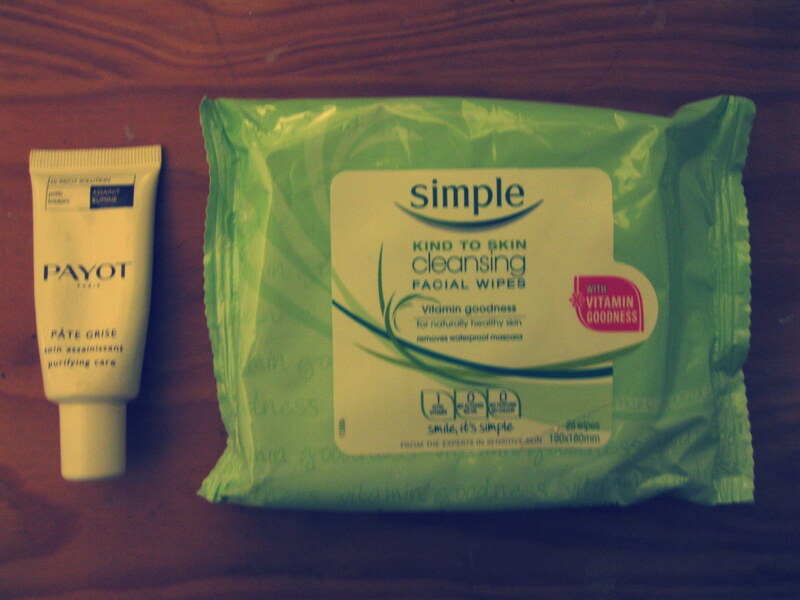 My all time best beauty products have to be these two though, my grandmother has some of the best skin I’ve seen and she has always used Simple, the make-up wipes get rid of everything. Payot’s Paté Gris is the best for stand alone pimples which I tend to get, it either makes them disappear and or it gets it all out, either way it leaves no mark and doesn’t dry out your skin too much. I turned 21 and finished uni (for the semester) in the last week and consequently spent the entire week baking, studying and stressing out. 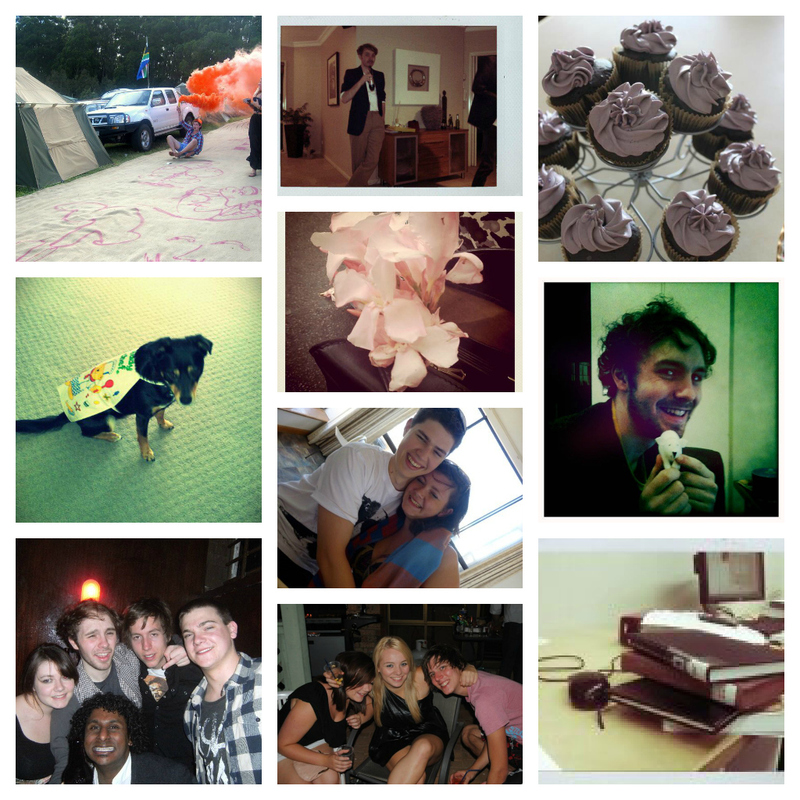 I took no photos of anything which I semi regret but trialled lots of recipes which I’m keen to perfect. That rhymed – gosh I love when that happens, I begin to think my inner Dr. Suess is finally here. But then I just kind of want a beer. Rhyming baking blog, is that a thing? Four years ago today I landed in Australia, four years ago I was 100% lost with zero friends in a totally foreign country which I definitely did not want to be in. 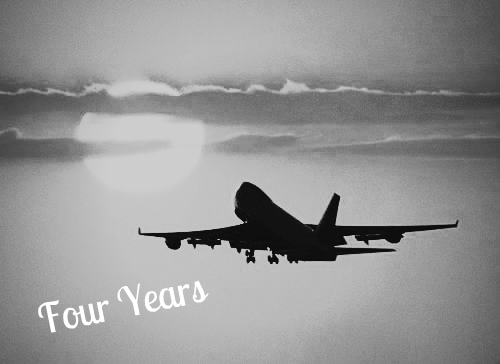 In four years I have made the most amazing friends, had some amazing long distance phone calls, changed my plans a billion times, got a puppy and met a pretty darn amazing guy called Nick. Actually I met about 8 different Nicks and they are all pretty rad. In four years my love for Adelaide has grown, I’ve discovered Gouger street, the food, all of the different markets, the biggest vintage shop I’ve ever been in and realised that Australia isn’t always beach ready. In four years I’ve realised the faults of the country I left behind; but even better I’ve missed the best bits – that’s given me a better sense of home than you could ever get by staying put. I would hazard a guess that Jamie Oliver and the lack of high street clothing helped. It took me about two seconds to realise I did not miss Jeremy Kyle. In four years I’ve changed, like a lot. I went to uni and I’ve stuck at it – that is crazy.This year I’ll finish university, become a citizen of another country and turn 21. That’s cray. To the past four years, thank you, you were bitchin’ (in so many ways). Kitchen disasters always happen at the worst of times, this particular one happened after a week-long baking marathon; my teeth had grown sick of sugar and my hands were well and truly done with being buttered. I shan’t dwell on that though because A.) I love baking and B.) 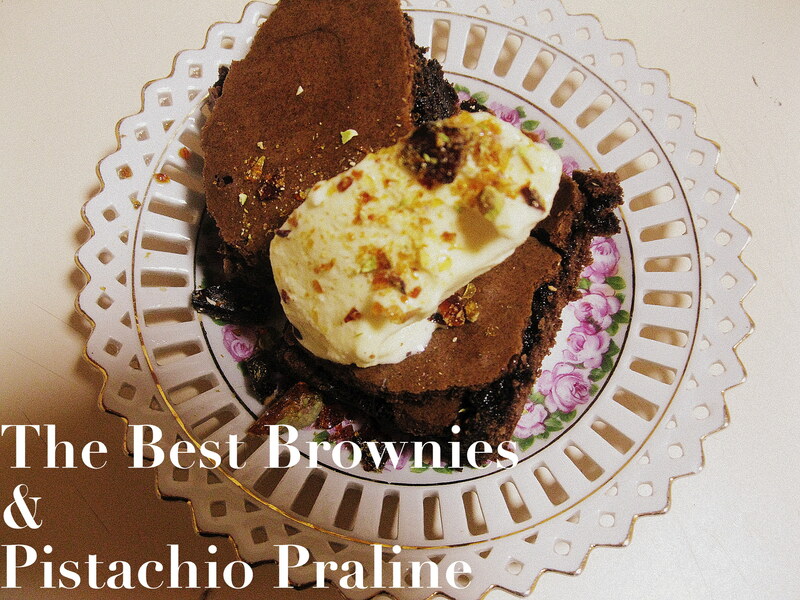 I got to make these AH-may-zing brownies and C.) I ate far too many for my own good. Now brownies have a special place in my heart. Why I hear you ask? Well I am the queen of under-baking (note baking – the only time I under cook things are veggie pasta bakes that I am just too hungry to wait until they crisp up; and that is all good! ), it most definitely steams from far too many dry birthday cakes as a child – other kids obviously my mum made rocking birthday cakes. Because of this when I bake I just hang out in the kitchen watching the cake and painting my nails. Cakes never hurry up for me, they always take a bazillion times longer than the recommended time. This is where brownies become the saviour of the day, they relish the watch, sometimes it all happens so fast; if you’ve seen Masterchef you will know that you are only minutes away from over cooking. These were for my pretty awesome boyfriend and they went down a treat! 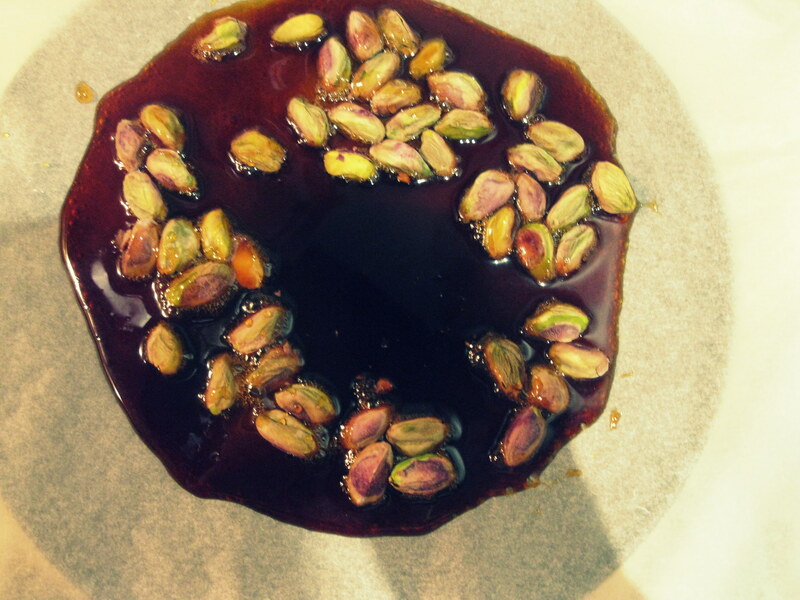 I made these at his house and forget he didn’t have a food processor so the praline was more crunchy bits of caramel than the smooth crunch of praline! Place a rack in the upper third of the oven and preheat oven to 350 degrees F. Butter a 9×13-inch baking pan. Line and butter the lining. This will make brownie removal much easier. 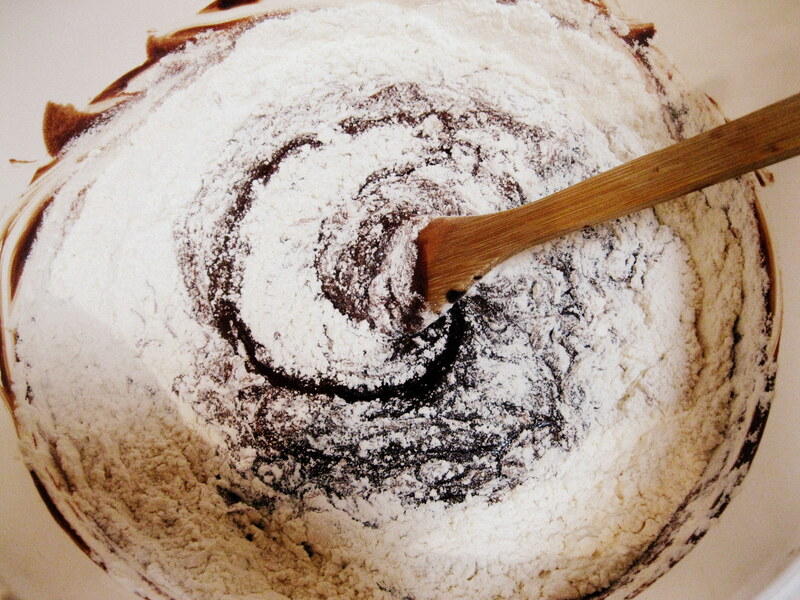 Whisk together flour, baking powder and salt and set aside. 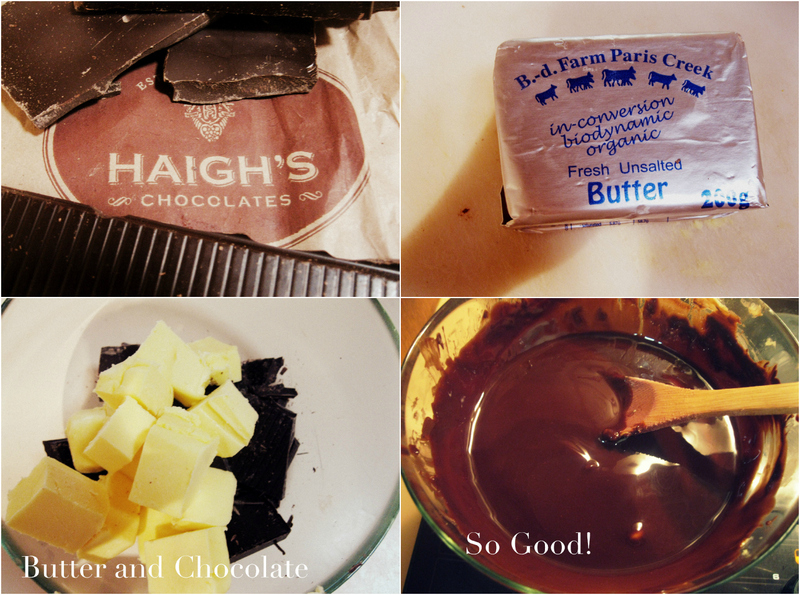 Place butter and chopped chocolate in a medium-sized heat proof bowl. Place the bowl over a pot of barely simmering water, being sure that the bottom of the bowl does not touch the boiling water. Stir until chocolate and butter are completely melted. Use pot holders to remove the bowl from over the boiling water. Lets mixture sit for a few minutes. Meanwhile, in a medium-sized bowl, whisk together sugar, eggs and vanilla extract. Whisk until pale and thick. Pour the chocolate mixture into the egg mixture. Whisk until completely incorporated. Add the flour mixture all at once and whisk to incorporate. Pour into the prepared pan and bake for 30 minutes, or until a skewer inserted in the centre comes out clean. Potentially review size of container for overflow, however if you do have overflow you can totally eat it, that’s cool. Combine sugar and water in a saucepan and stir over low heat to dissolve sugar. Increase heat and boil, without stirring, until mixture is a caramel colour. Pour into six 175mL ramekins. Lightly toast nuts in a hot oven. Remove caramel from heat once nuts are toasted. When bubbles subside, carefully stir in nuts. 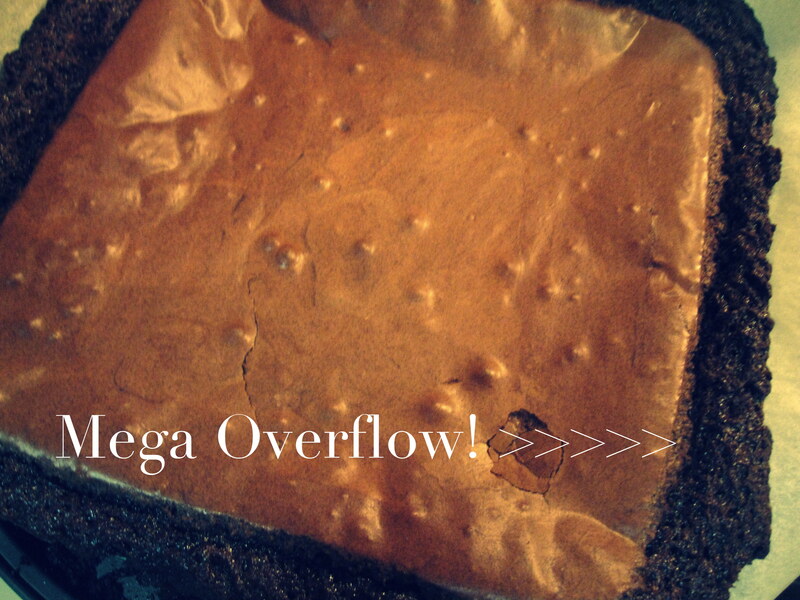 Pour onto a greased baking tray, cool, break into pieces and grind finely in a food processor. Add some vanilla gelato from Gelatissimo and you have an amazing dessert.